As part of the tri-annual “Election Promise-fest”, New Zealand’s governing National Party said they would establish “Recreational Fishing Parks” in the inner Hauraki Gulf and the entire Marlborough Sounds – banning commercial fishing from operating in those areas. I was in the car with talkback radio on an hour or so after the policy was announced and callers’ reactions, like a school of kingfish sensing a big pot of burly in the water, were fast and severe. Sounds like their plan hit a bit of a snag. The day before he announced this plan Prime Minister John Key was in Napier to attend the All Blacks vs. Argentina game at McLean Park. As part of his visit he spent some time schmoozing with party faithful at a bar in Napier’s party central-come commercial fishing port, Ahuriri. In such an ideal location I think Mr Key missed out on a great opportunity for local votes by not announcing his “Recreational Fishing Park” plan here and including in the plan a body of water very close and dear to our hearts – Hawke Bay! Fish stocks in Hawke Bay have been in decline for some time. Catching fish by surfcasting or kon-tiki from the shores around Napier is proving more and more fruitless. Many recreational boat fishermen I know don’t even bother going out on the bay much any more either, as the number of fish they catch has gone down almost as fast as the price of fuel for their boats has gone up, making it no longer worth the effort or cost. Hawke’s Bay Sport Fishing Club, along with Advocacy group LegaSea, conducted a study into recreational catches in Hawke Bay over an eight year (fishing is best over the summer here, so the results covered December-February) period. 14,744 anglers recorded over 115 days of fishing competition how many fish (the survey included five species: snapper, gurnard, tarakihi, trevally and groper) they caught. The results were based on the number of fish per angler, per day and ranged from a high of 2.23 gurnard per angler, per day in 2011-12 to a low of 0.006 groper the same year. The average fish per angler, per day over that 8 year period works out as 0.654 – that’s just over half a fish per person, per trip. It’s hardly worth it! The low fishing stocks hurt the local business as much as the anglers, as there is an estimated 2,000 recreational boats in the region at a total value of around $83 million. Add to that $28 million of fishing gear and over $10 million in fuel, maintenance, fuel etc. and recreational fishing has an estimated value of at least $121 MILLION to Hawke’s Bay’s economy! Commercial fishing operations, by comparison, are actually expanding! While most big operators in the region fish outside of Hawke Bay – mainly out towards the Hikurangi Trench and beyond, it is not uncommon to see commercial boats operating within the limits of Mahia Peninsula and Cape Kidnappers. I have even seen commercial fishing boats regularly running a couple hundred meters offshore along by Hawke’s Bay Airport. You can guarantee they are catching more than 0.654 of a fish – That’s just not fair! So, Mr Key. 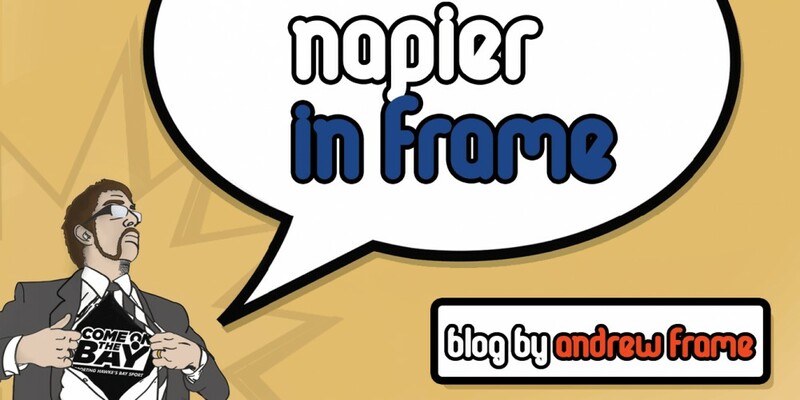 I understand you’re visiting Napier again today (Thursday 18 September). Your local MP’s have been rather ineffectual in the region despite claiming they are “Backing the Bay”, so let’s see if you can do any better. Add Hawke Bay to your list of “Recreational Fishing Parks”. Ensure the conservation of our region’s salt water fish stocks. Keep our recreational fishermen and fisherwomen happy with tight lines and bobbing rods. Make sure a pastime worth hundreds of millions of dollars to our region doesn’t end up floating belly-up in an empty Hawke Bay. Hawke’s (and Hawke) Bay deserves better! There may be further reasoning to making Hawke Bay a “Recreational Fishing Park” as Ministry of Primary Industry agents swooped on a local fishing business after it appeared their in-shore catch records were substantially less than they had been recording as exporting. This entry was posted in Hawke's Bay, Opinion, Politics, Sport, Writing and tagged Hawke's Bay, Napier, Opinion, Politics, Retail, Tourism, Writing by Andrew Frame. Bookmark the permalink.